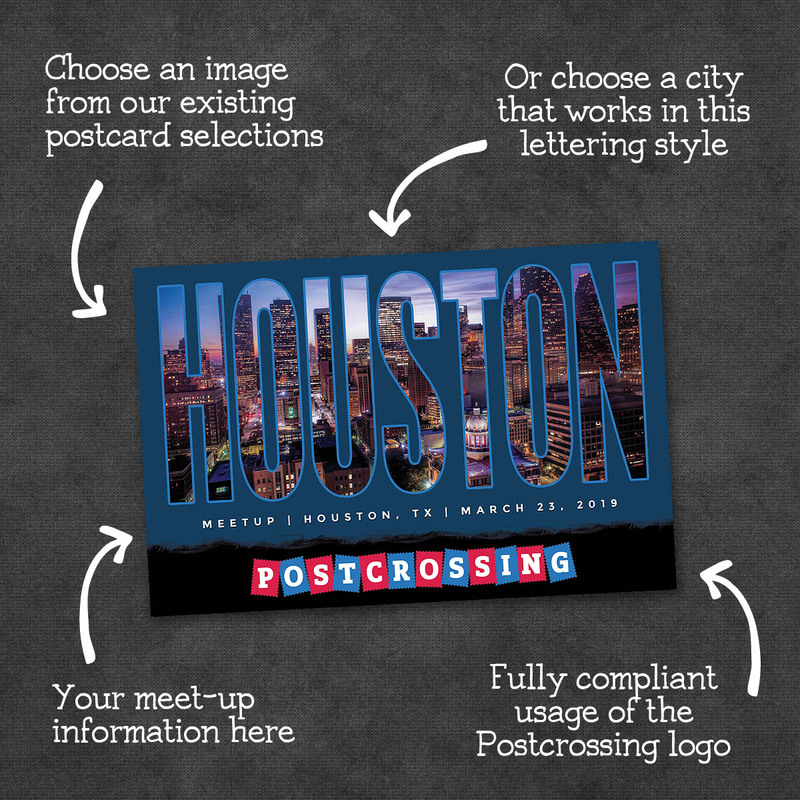 Custom Meet-Up Cards | Christopher Arndt Postcard Co. 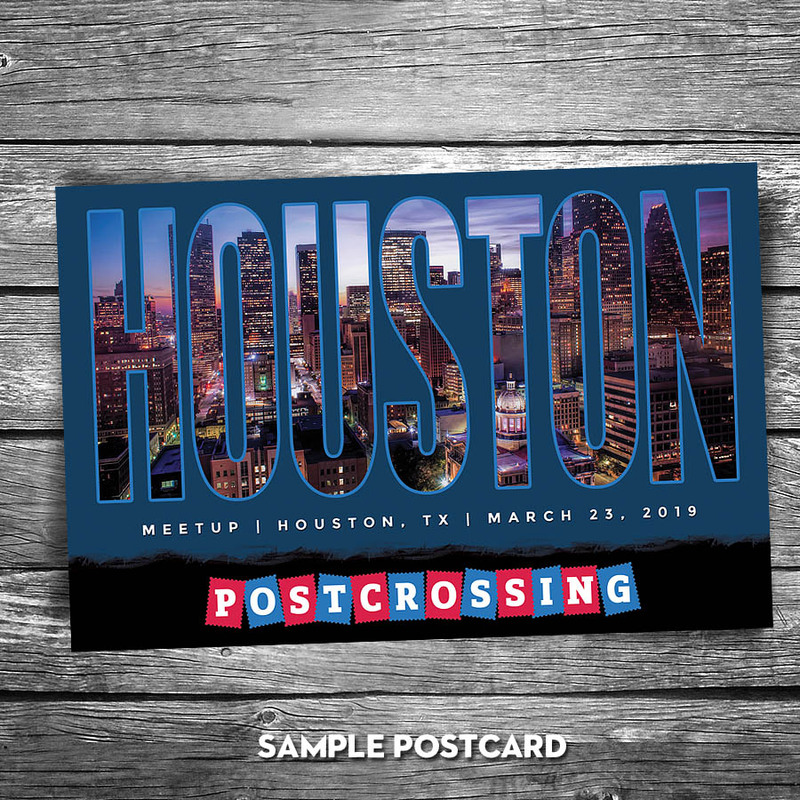 Create a custom Postcrossing Meet-Up Card made exclusively for you by Christopher Arndt Postcard Co.
You can now create a custom Postcrossing Meet-Up card made exclusively for you by Christopher Arndt Postcard Co. 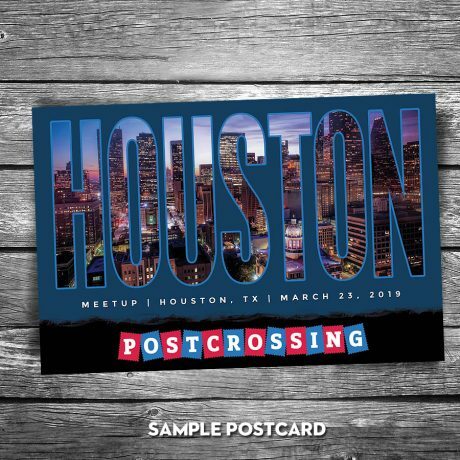 Your commemorative postcard will be a hit among your participants, plus collectors and swappers clamoring for it. Printed on the same luxurious high-quality paper used on all our postcards. 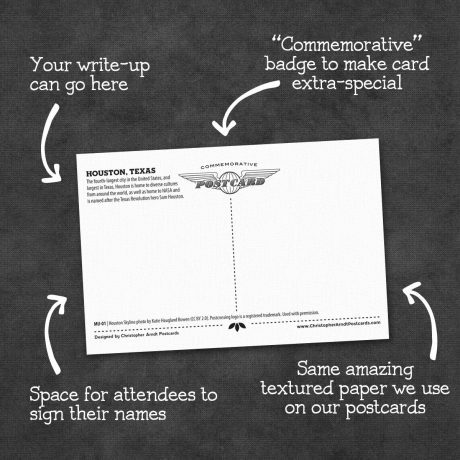 After we receive your order, we will contact you for the specifics of your event. Back: Your custom text (optional) plus our signature “Commemorative Postcards” medallion and design. Bulk discounts do not apply. Free Shipping on orders over $25.